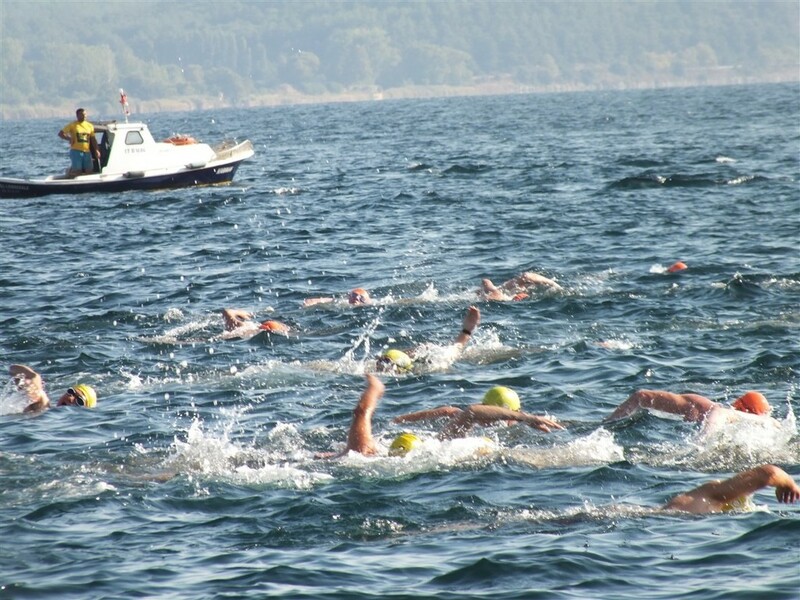 Hellespont and Dardanelles: THE WORLD’S OLDEST SWIM. 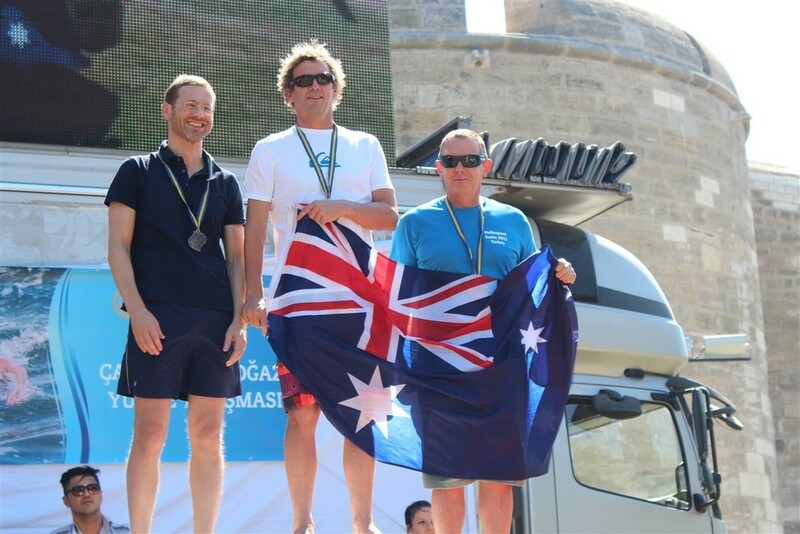 It’s been said that you can’t call yourself a true open water swimmer until you’ve completed this historic cross-continental swim from Europe to Asia in Turkey. From the challenge of the swim itself to the region’s incredible history, this event is a must-do for open water swimmers from around the globe. 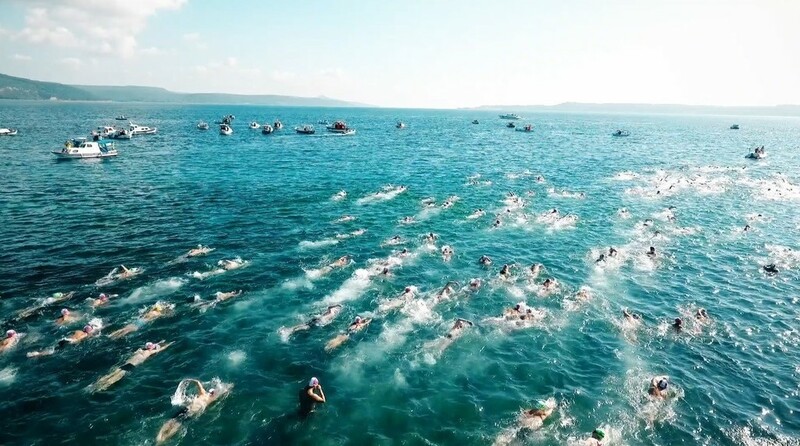 No other open water challenge in the world combines as much history, prestige, romance and bragging rights into a single swim as the legendary crossing of the Dardanelles strait, as one of the busiest shipping lanes in the world is closed for the annual ‘Victory Day’ race. The Hellespont is celebrated in the ancient Greek myth as the straight which Leander swims across to reach his lover Hero. 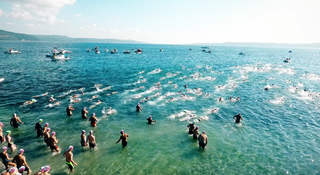 It was officially swum for the first time by the famous poet, Lord Byron, in 1810 and ever since, it has been considered the absolute epitome of open water swimming and can often be found at the top of any avid open water swimmer’s international wish list. 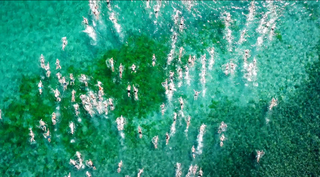 As well as its own ancient history, the crossing also holds a special place in SwimTrek’s history as the swim which prompted our fearless founder, Simon Murie, to set up a pioneering open water swimming company, 15 years ago. 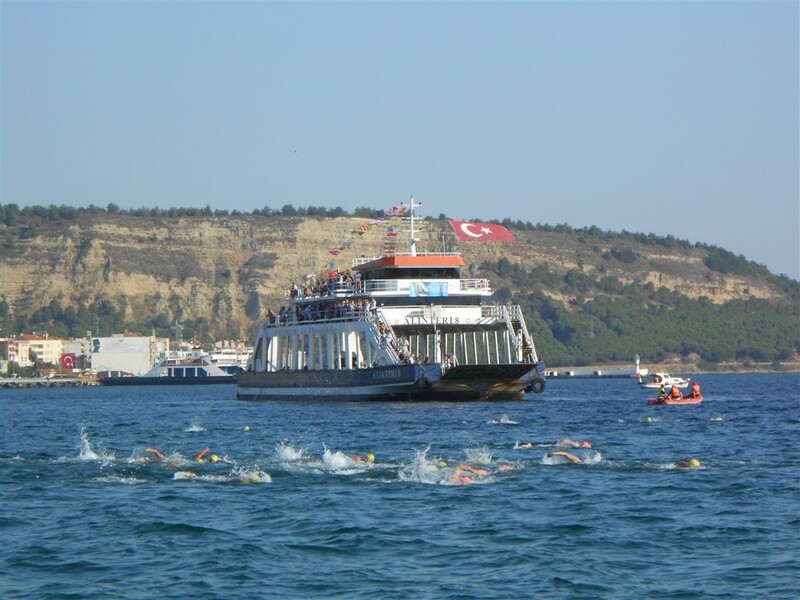 Entries for this iconic event are strictly limited and SwimTrek is the sole provider of all race places for non-Turkish residents. Be quick to secure your place on this unforgettable swimming event in 2019! 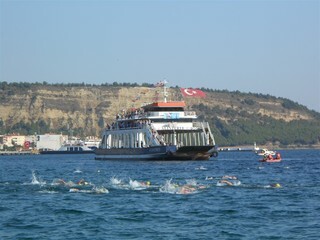 The Hellespont and Dardanelles crossing is a significant open water swim of 4½ km between Europe and Asia. 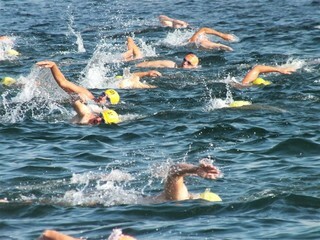 Conditions during the event may be challenging and swimmers should have a good understanding of open water swimming. 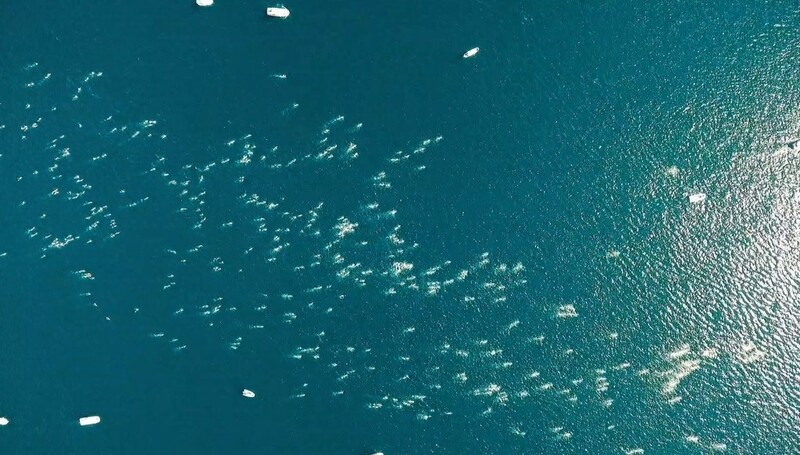 They should be capable of swimming 4½ km in the open water and be comfortable swimming in choppy waters and currents prior to the start of the trip. *Please note that the above itinerary is subject to change during the course of your trip. 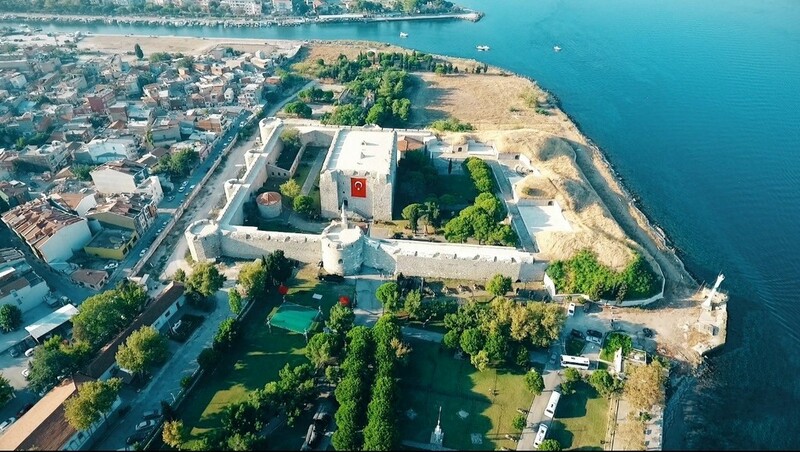 Upon arrival in Canakkale, you can check in to your hotel and spend the rest of the day exploring the city and experiencing the local Turkish culture. 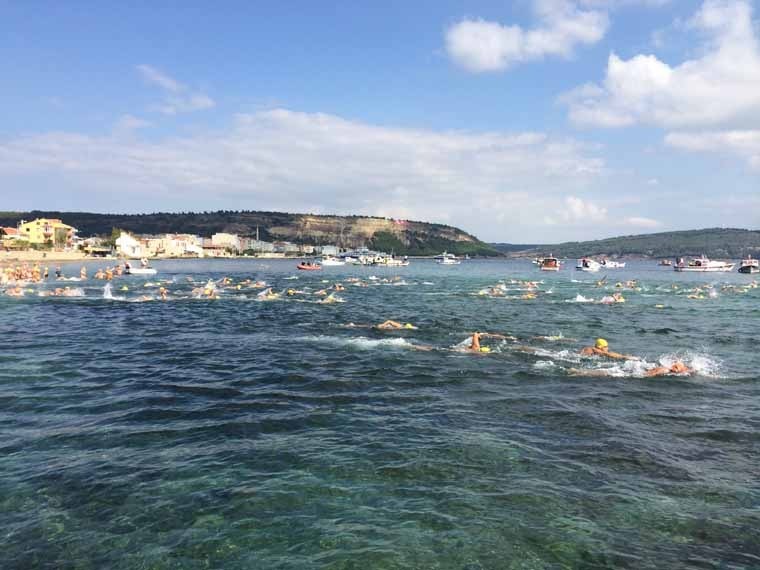 On the morning of Day 2, there will be a welcome briefing as well as an opportunity to take part in an acclimatisation swim on a private beach, a short walk out of Canakkale’s bustling centre. This is a great chance for you to get used to the swimming conditions. 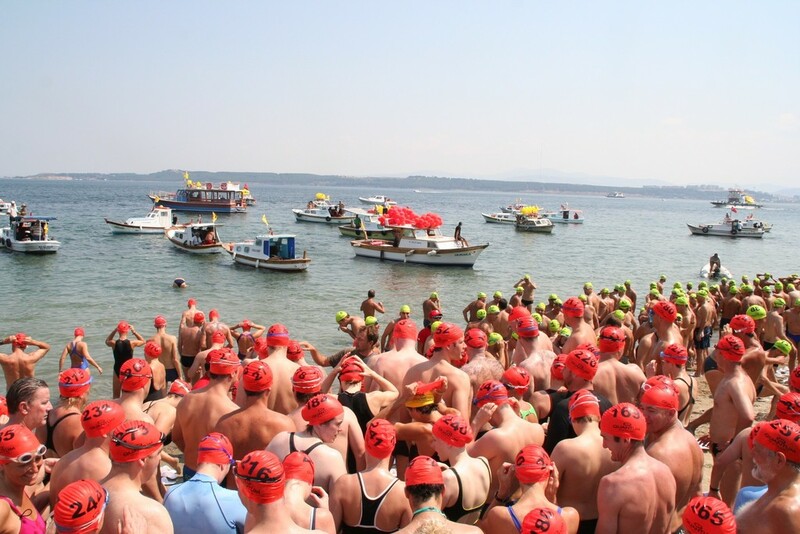 At the race registration, you will be given your swim hats and timing chips in preparation for the next morning’s swim. Please note that registration is compulsory in order to take part in the event. This basic pasta buffet meal is put on by the local Rotary Club and offers you an opportunity to meet up with Turkish swimmers prior to the swim. Whilst optional it is highly recommended that you join us on the boat tour as it is the opportunity to travel the swim route, see the swim start point and hear suggested strategies for your crossing. 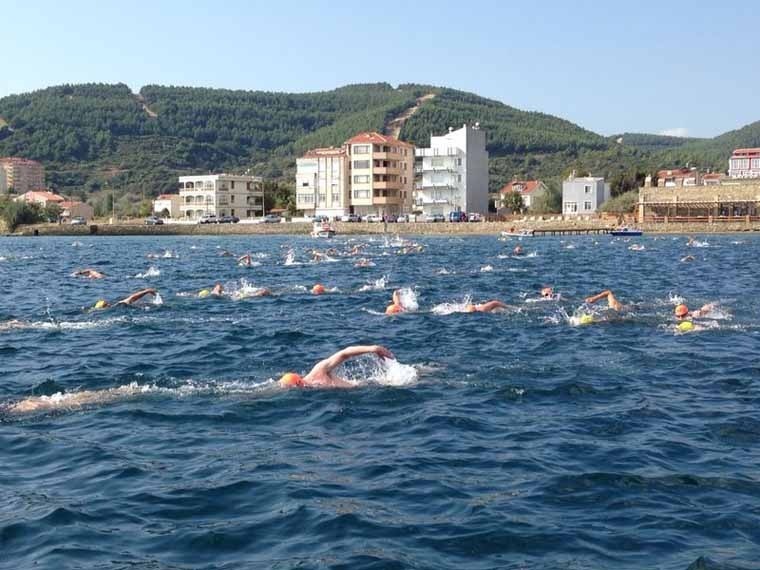 For further information about the Hellespont and Dardanelles Swim Race, please see the below section about ‘Race Information’. The official race awards ceremony will take place near the race finish some time after the race finish (time to be confirmed). A post-race celebratory dinner will be held for all SwimTrek guests, including non-swimmers. 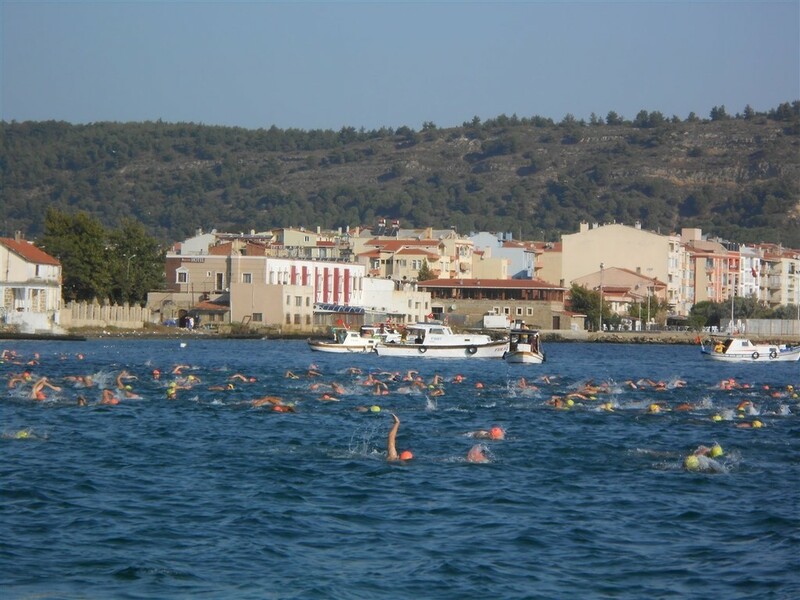 This is a fantastic opportunity to kick back and relax after completing an epic open water swim and to chat with your fellow swimmers about your Hellespont experience. 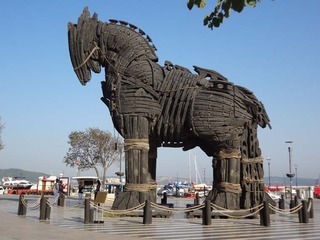 Please see the 'Shared Return Transfer from Canakkale to Istanbul | Sat 31 Aug and Sun 1 Sep 2019' section under 'Getting There' in the 'Trip Info' tab for further information. Please see the 'Race Time' section under 'Race Information' in the 'Trip Info' tab for further information. The race organisers require a signed medical form from a doctor/medical practitioner prior to the race. This form will be forwarded to all participants after they have completed their booking. 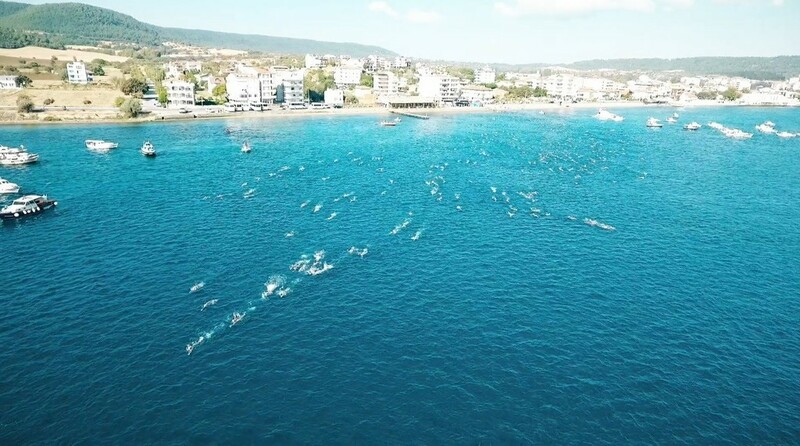 The total distance of the Hellespont swim is approximately 4½km, however, the swim is current-assisted, which makes it equivalent to swimming approximately 3-3½ km. The Hellespont is a major strait dividing Europe and Asia. As a natural body of open water, it is affected by local weather conditions, which can vary considerably from one day to the next. In order to complete the swim in the most favourable conditions, there are two different options for when the race may take place. The preferred option is to conduct the race on Friday 30 August at 09:00, however, in the unlikely event that conditions are so unfavourable that the race time is changed, then it will be run on Saturday 31 August at 09:00. Please keep this in mind when booking your return travel from Turkey. On Wednesday 28 August, the event committee will meet and will make a decision about when the race will take place. 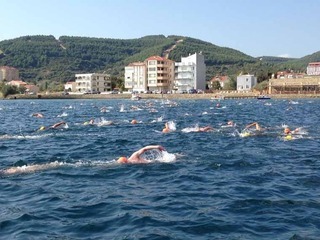 If neither of the above options are suitable, an alternative coastal swim will be organised and you will be offered a reduced entry for the Hellespont event the following year. There is a time limit of two hours to complete the race. 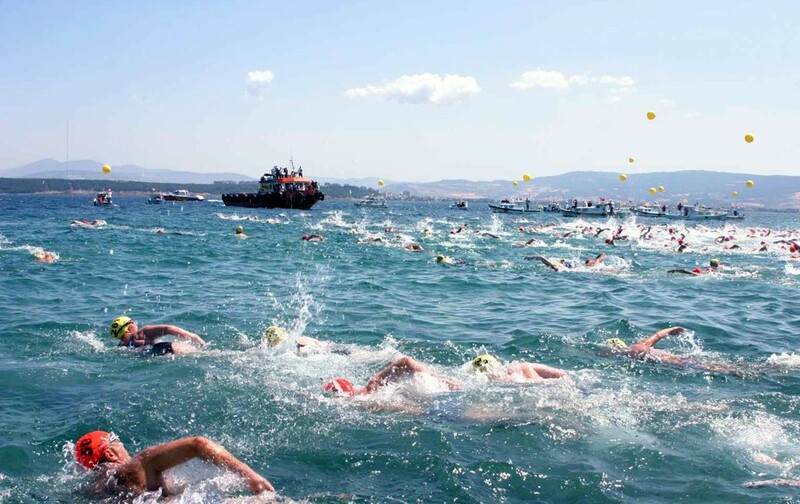 For safety reasons, any swimmers who do not complete the race before this time will be removed from the water and escorted back to land by the Turkish Coast Guard. Swimmers are allowed to wear wetsuits during the crossing, however, please note that using a wetsuit will mean that you are ineligible for any of the race awards. 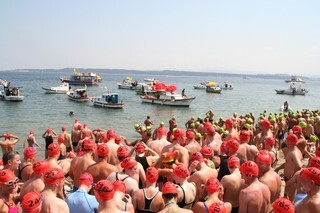 Compulsory swim hats will be given out on the day of the race by the event organisers. You should also bring a swim costume, goggles and a towel. 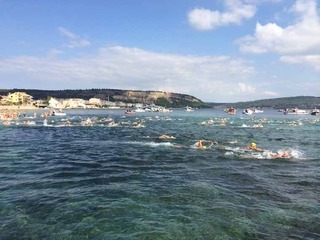 Please note that whilst SwimTrek organise the tour part of this package, The Canakkale Rotary Club are the organisers of the swim and are fully responsible for race safety, logistics and contingency planning. There are several options for travelling to Canakkale at the start of your trip. The easiest option is to fly into Istanbul Airport and then book a private transfer with our partners in Turkey which will take you directly to your accommodation in Canakkale. You can also fly in to Sabiha Gokcen Airport and take transport to Istanbul Airport to join the transfer. 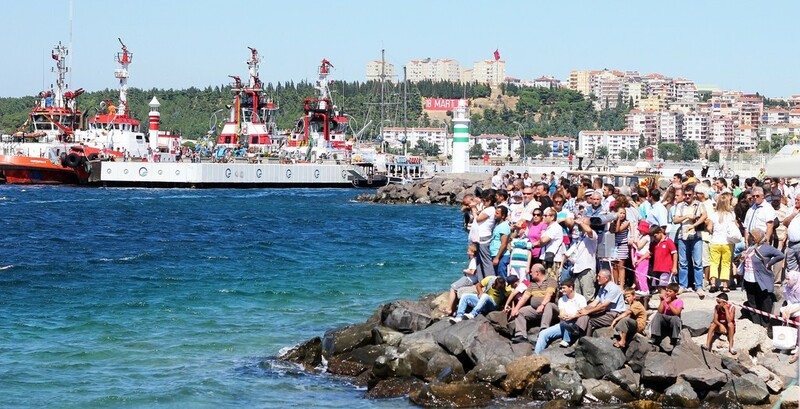 It is also possible to catch a connecting flight from Istanbul to Canakkale, however, please note that these flights often depart Istanbul late at night and arrive into Canakkale in the early hours of the morning. They usually include a stopover in Ankara with a total journey time is 3-6 hours. While we have outlined various travel options below, they are subject to change and should be used as a guide only. We suggest that you use Skyscanner to search for alternative flight options for this trip. To search for available flights into Istanbul International Airport, please visit: Skyscanner. To book your place on this shared transfer at the beginning of your trip, please visit: Wilusa Travel. If your flight arrival does not coincide with the shared transfer service and you would like to arrange a private transfer from Istanbul to your accommodation in Canakkale, this can be arranged through various online providers. You can also book directly with our partners in Turkey, Wilusa Travel. To book your private transfer, please visit: Wilusa Travel. To search for available flights between Istanbul International Airport and Canakkale, please visit: Skyscanner. Please note that these flights often depart Istanbul late at night and arrive into Canakkale in the early hours of the morning. They usually include a stopover in Ankara with a total journey time of 3-6 hours. There are various public bus services which run from Istanbul to Canakkale with a journey time of approximately six hours. For bookings, timetables and further information, please visit: Bus Ticket Line. Accommodation is based on twin share rooms with en suite facilities, on a bed and breakfast basis. There are a limited number of single supplement rooms which can be reserved during the booking process, subject to availability. If you require additional nights accommodation before or after your SwimTrek trip, please visit: Wilusa Travel. 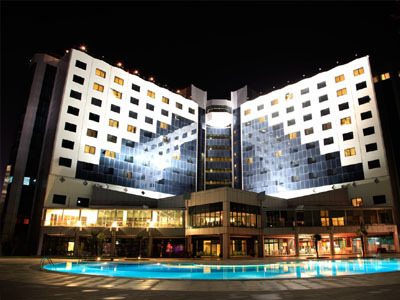 All SwimTrek's 3 and 4-star hotels are located within 10 minutes walk of each other in the city centre. 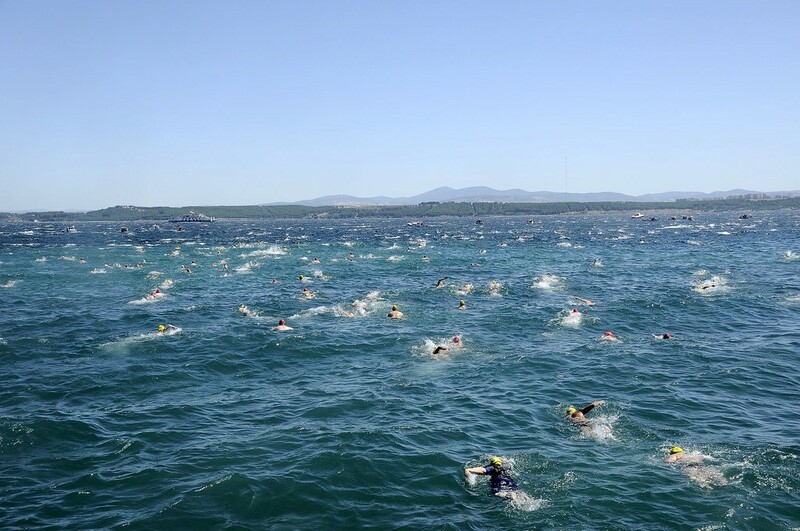 If you choose to stay at the 5-star Kolin Hotel, transfers are available to and from the following events: Welcome Drinks, Acclimatisation Swim, Boat Tour, Race Registration, Race Start, Post-Race Dinner. If you prefer to return to the hotel outside of the normal transfer timetable, you can catch a local taxi for approximately €8. There are a limited number of supporters packages available which include shared accommodation with a race participant, as well as entry into all non-swimming events. We cannot guarantee that supporters will be able to travel to the start of the race on the European side, however, in previous years this has usually been possible. In general, it is more advisable for spectators to stay on the Asian side and view the race from the finish line. All breakfasts are included as part of your trip price, as well as the pasta lunch on Thursday 29 August and the post-race celebration dinner on Friday 30 August. All other meals are at your own expense, which gives you a fantastic opportunity to explore and experience the local cafes and restaurants of your choice over the course of your trip. If you do require a visa to enter Turkey, you must apply for this before you travel, via: Turkish Government E-visa as as self service e-Visa kiosks and Wi-Fi areas where visitors can apply for an e-Visa on arrival are no longer available in Turkish airports. Please note that visa regulations are subject to change and we advise that you check your own visa requirements prior to travel. For a useful source of information on the different electrical outlets, electrical plugs, and electric sockets, please visit worldstandards.eu/. Thank you to the Swim Trek team for helping me achieve a lifetime ambition - your team were so helpful and encouraging. An amazing event that was very well-organised. THANK YOU. I look forward to going with SwimTrek in the future for another adventure. 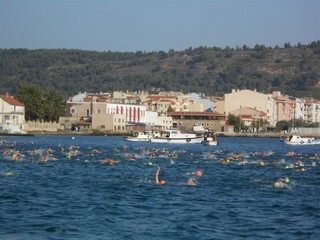 Where else can you do an intercontinental swim and have such fun doing it? "Great moments are born from great opportunities". 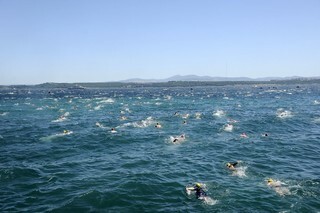 The Hellespont was an iconic swim. Well organised and safely managed. It was fun and enjoyable from start to finish - great event, great new friends and gave a full sense of achievement. Superb ! The experience of a lifetime. You must swim it! My first SwimTrek trip exceeded all expectations so it won't be my last. Had a fantastic time, brilliant fun! 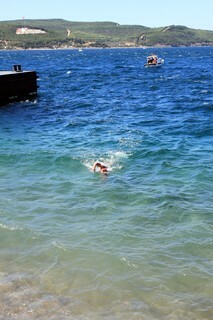 Well organised, met some wonderful people and the sea was beautiful - like swimming in silk. One of the best days! It was - again - a perfect mix of wonderful location, challenging swimming event and meeting interesting people from all over the world. 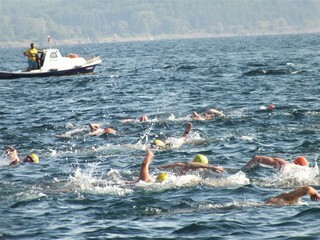 My favourite ever swim - Europe to Asia at the Hellespont. The most classic swim in the world. 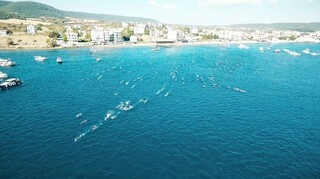 Great location, beautiful swim, well-organised trip by SwimTrek. I swam the Hellespont to celebrate my 60th birthday. It was the highlight of a month-long trip to Turkey. It surpassed my expectations and I would jump at the chance to do it again. What an amazing experience both in mind, body and soul. The turks are an incredibly hospitable nation who take pride in everything they showed us and arranged for us. We were privilege to swim a historical route from Europe to Asia that will leave a lasting memory for me! The swim of a lifetime! It was brilliant and the best birthday I've had in years! 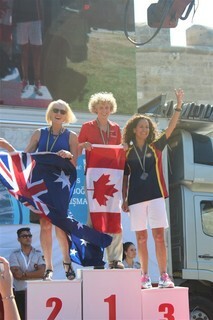 I'm so thrilled to have taken part in the swim and can proudly say I've swum from Europe to Asia. The SwimTrek suggested training programme really worked, with superb advice on hand. I am officially a swim addict now! A very memorable swim which I would recommend to others. An event not to be missed. 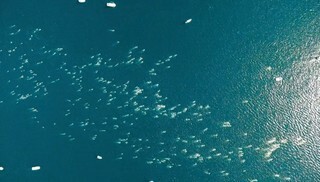 One better than sailing over the Dardanelles is to swim through it. Having succeeded, the title of "Intercontinental Swimmer" sits easily! This has been one of my favourite swims to do. 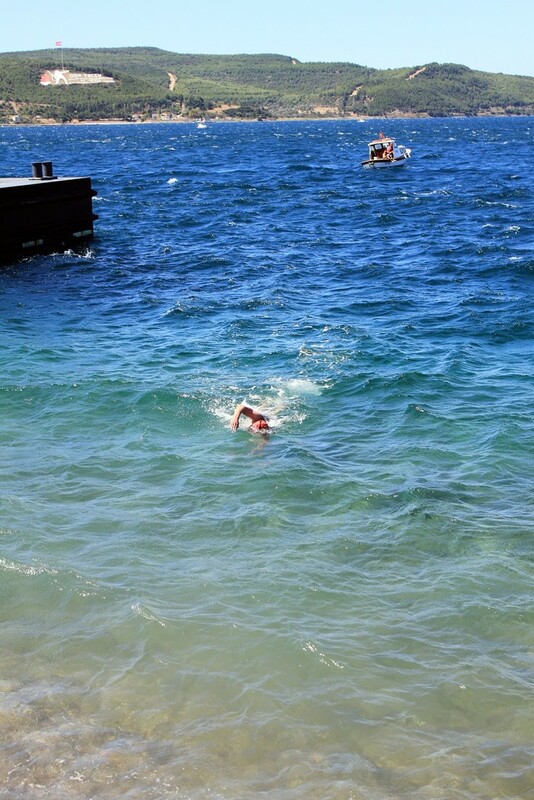 The water was beautiful and it was really great to make it it to the finish. I met some really interesting and inspiring people also, which made the trip even more memorable. 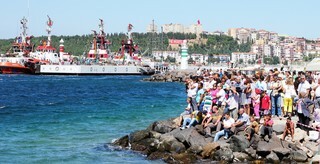 Overlooking the Dardanelles Strait, The Akol is located in the heart of Canakkale, only a few steps from the seaside. 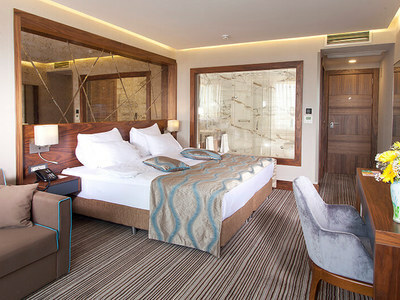 A perfectly styled contemporary hotel with a strong focus on design, the Artur hotel provides spacious accommodation in the heart of Canakkale. 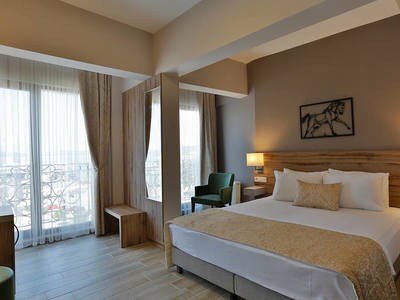 Çanak Hotel is a comfortable and centrally located 3-star hotel in the city of philosophy, mitology and history with marvellous views of the Dardanelles. 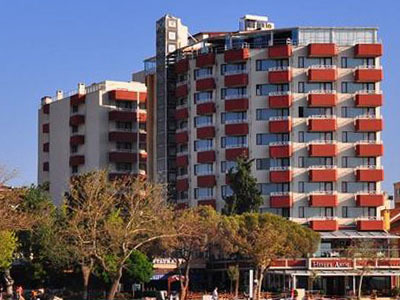 The Kolin hotel is Çanakkale's only 5* hotel and is located 6 miles from the centre of town. The hotel offers a comfortable environment from its clean, modern rooms, to the gardens overlooking the Strait. The Kule hotel is Named after Çanakkale's iconic clock tower just meters from the front door, the Kule Hotel is a modern hotel with large, comfortable rooms and is only a short walk from Canakkale's Pier and water front. 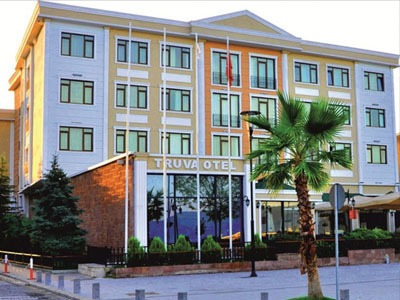 The 4* Truva Hotel was refurbished in 2012 and offers modern comfortable rooms from its ideal central location on the shores of the Strait.